At Gray Gristmill, one of the latest additions to Seoul’s ever-growing cafe scene, getting a caffeinated brew is an interactive process. After perusing a selection of 12 different single-origin coffee and blends, cafe-goers choose their coffee and how it will be brewed. All coffee is displayed in vacuum-sealed, single portion packages at the counter with placards detailing their flavor profiles. After selecting their coffee, cafe-goers can decide whether or not to enjoy it as pour over coffee, as an Americano or as another brew of choice. Once all the decision are made, one can sit back and watch. “The bar is very big,” said Gray Gristmill director and head barista Bang Jun-bae, gesturing to an open space smack dab in the center, where Bang and his team of five baristas grind, tamp and pull shots from two Slayer espresso machines and brew pour over coffee. “Customers can watch the baristas in action,” Bang, 33, said. Customers also get a clear view of the Loring roaster in the back, where the beans are roasted. “We roast our coffee two to three times a week,” said Bang. All the single-origin coffee at Gray Gristmill, Bang said, is specialty or micro-lot coffee, while the blends also use specialty beans as part of the mix. Micro-lot coffee is generally understood as coffee harvested in relatively small quantities for its unique, rare, special qualities. Specialty coffee is often defined as coffee that has scored 80 points or more based on the 100-point grading scale set by the Specialty Coffee Association of America. “Since we work with specialty coffee, we thought about how we could make the cafe experience special,” Bang explained the thinking behind the D.I.Y. 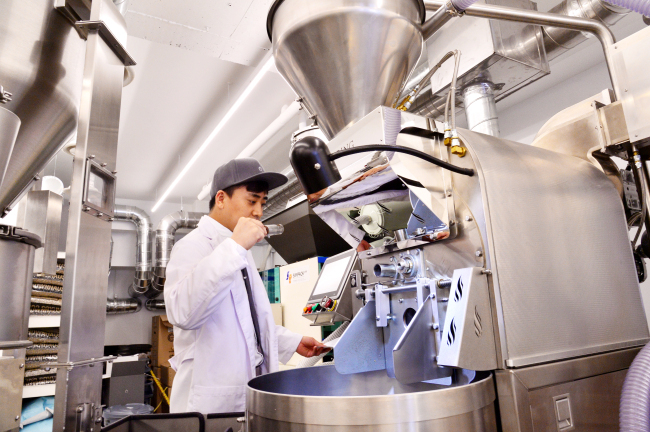 ordering process, the single portion packaging and the hands-on, small-batch roasting process. 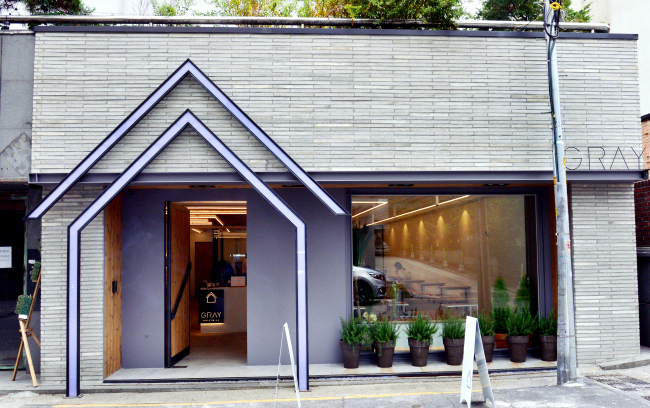 Gray Gristmill, which opened less than a month ago in Seoul’s Sinsa-dong, is the creation of Andrea Plus -- a company that specializes in coffee consulting, barista training and the distribution of coffee and coffee-related products. All that know-how has been funneled into this new cafe, which is overseen by head barista and director Bang, who took away top honors at the 2017 Korea National Barista Championship. 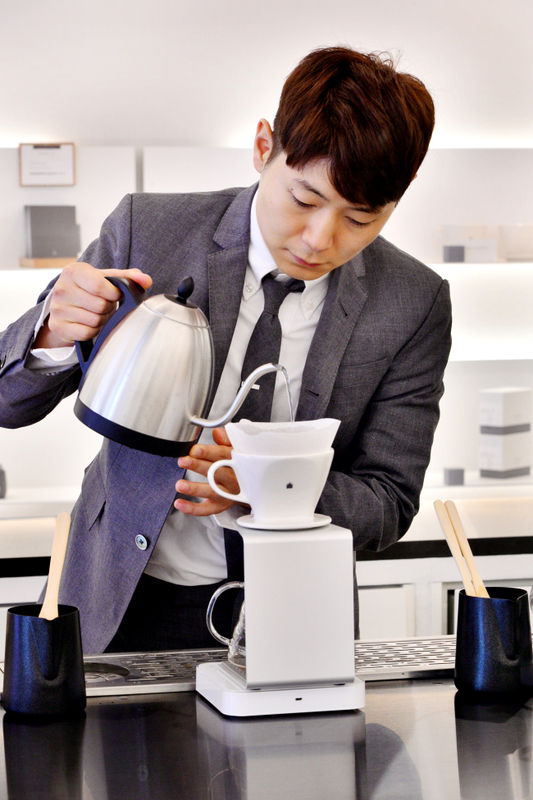 Head roaster Kim Hyun-soo, who nabbed top honors at the 2013 Canadian Cup Tasters Championship, is also part of the Gray Gristmill team. There is much to choose from, like their nutty and acidic single-origin Panama or their citrusy single-origin Guatemala. “It has a grassy mouthfeel,” said Bang. Plans are to change their coffee line-up regularly.